(March 2, 2013) At the Steele Creek Residents Association annual meeting this week, Charles Wilkerson, President of the Arrowood Business Association, announced the formation of the Olympic Foundation. Its mission will be to make a direct impact towards change at the Olympic Community of Schools. 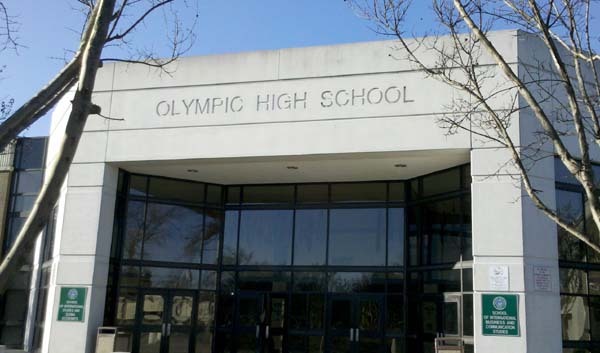 Commonly referred to by its original name, Olympic High School, the Olympic Community of Schools was established in 2006 when the traditional high school was split into five theme-based schools. Olympic High School opened in 1966 and is one of the oldest high schools in the Charlotte-Mecklenburg system. While the system has opened many new high schools over the years, Olympic has deteriorated over time and requires attention. Its athletic facilities in particular are among the worst in Mecklenburg County. Stay tuned for more information about the upcoming fundraising drive.